As many of you know, my first career of nearly 30 years was that of a NYC based commercial photographer. I was fortunate to do something that I was very passionate about and gave me great pleasure every single day. I had some really extraordinary experiences that have become lifetime memories. I often reflect on those days and find significant connections to those memories to what I do now. As a career coach, my job is to identify the issues driving people and make sure that I provide a Professional GPS and get them moving forward, nurture their strengths and give them a sense of direction. Recently, I was sharing a story with a colleague about being the ‘official’ photographer for Lassie for about 5 years. It was one of the best photo projects I ever had. I have traveled the world on assignments, taken pictures of major celebrities. Heads of State, created content for some of the biggest brands and among many other cool things, I introduced all the visual for ‘Tickle Me Elmo’. Great career and with deep pride, I still look at Lassie as one of the highlights. 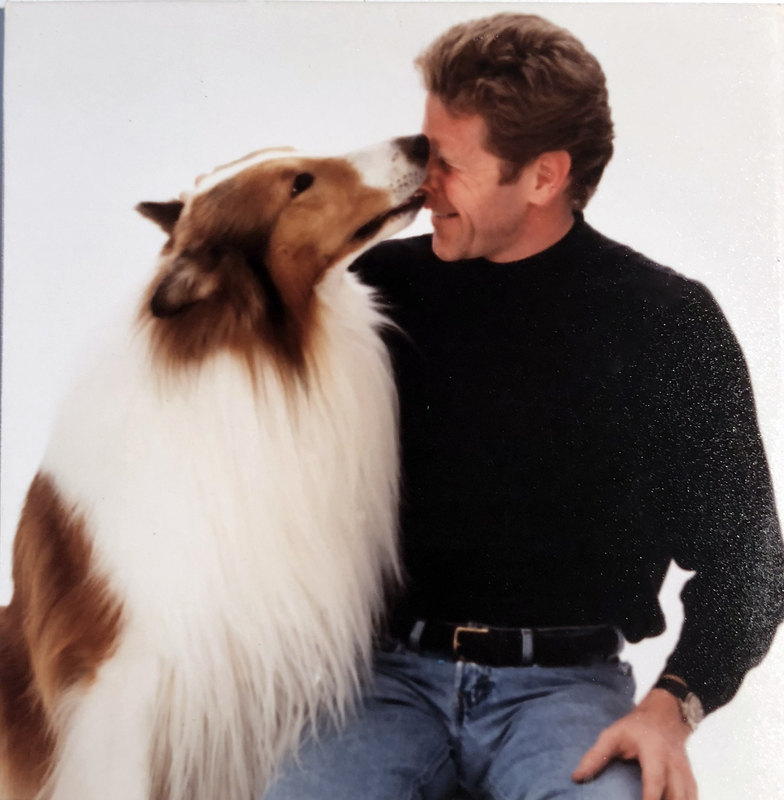 Lassie and his (yes, with rare exception, Lassie was always a male dog) trainer flew in from California several times during that 5 year period for a very robust shoot schedule. Locations, intricate sets that we built in the studio and a variety of props and scripted instructions to follow were SOP each and every time. The trainer, Bob Weatherwax who by the way was a 2nd generation heir to the Lassie Trainer Throne, would talk to Lassie (real name at the time – Howard) like a human. He would instruct Lassie/Howard to do whatever it was we needed him to do so I could capture it. I was in awe at how they communicated together and the mutual understanding (and love) they had between each other. A real relationship. Lassie was still active making adventure movies and I asked Bob what did you do when Lassie had to jump in a river to save the little boy and for whatever reason, the director wasn’t fully satisfied and you had to re-shoot the scene? Bob, the trainer looked at me incredulously and was very offended and replied – “Lassie always gets it on the first take”. This story is so reflective of what I do. The symmetry is so obvious that I never recognized it until just this week while telling the story. You are looking for a job/career. You create a narrative, a story line that supports who you are so you can put yourself out there in the market. You rely on resources like a career coach. You listen and learn. You exchange ideas. You build a relationship based on trust and you eventually hear “ACTION” and you jump into the job market (the river) to save the little boy (find a job) and if you prepare (rehearse) you land safely. Cut! That’s a wrap.